There was a time in my life when I was not going to school unless I scored some of these. It was that simple. I remember them coming to Longview in 1980. The school actually sold them for 10 cents each. I bought as many Cowboy pencils as I could. What about the folders to go with said pencils? Going to the old Target across from Longview Mall and sorting through the folders like baseball cards. Trying to find favorite player with the coolest pictures. And always keeping that lucky Cowboys pencil for big tests. I was born a poor black child, so I had to settle for 25-cent Pee Chees and yard sale Trapper Keepers. By the time they started coming out with those, we had to have our folders color coordinated for class. I thought it was stupid. At least with my notebook we could choose our own. 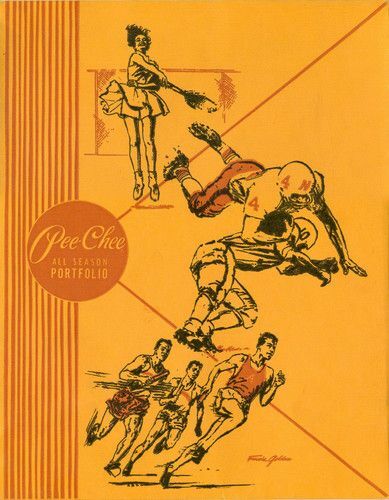 I'd always get the white zip lock notebooks so I could cut out sports pictures, rock stars, and models from magazines. In the 80's if I would have found a photo of Farrah Fawcett in her red swimsuit it would have been included in my collage. Instead I had to settle for the two Heather's (Locklear and Thomas). I find it amazing how some of the littlest things bring back memories. 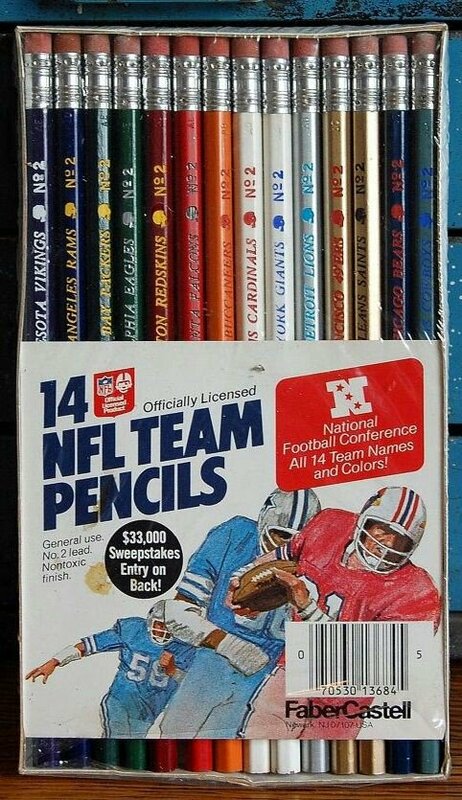 I still have all the 28 NFL pencils. Are they worth anything today other than being 10 cent pencils? Are they worth anything today? You can't put a price tag on memories but if you did ol' EBAY has sets going for 30 bucks a pop. Or if you need a killer anniversary present there's a $195 set of 27 team pencils.